Photo Collection Tells Stories of Parsis in India You may know the work of Sooni Taraporevala from the big screen — she wrote the screenplays for Salaam Bombay and Mississippi Masala, each of which won awards. But when she's not writing, Taraporevala enjoys taking photographs. Hear NPR's Jennifer Ludden. You may know the work of Sooni Taraporevala from the big screen -- she wrote the screenplays for the films Salaam Bombay and Mississippi Masala, each of which won awards. When she's not writing, Taraporevala can often be found with a camera in hand, taking photographs that have won her new acclaim. Her latest project is a collection of images of a religious community on the brink of extinction, taken over the course of 20 years. 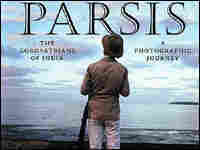 Parsis: The Zoroastrians of India combines Taraporevala's portraits with essays and interviews to give a modern view of Zoroastrianism, the 3,000-year-old religion stemming from the days of the Persian empire. Taraporevala's family has long practiced the religion, having left Persia (now Iran) for more religious freedom in India centuries ago. NPR's Jennifer Ludden talks with Taraporevala about the book and its subjects. When I was a child growing up in an extended family, I had a peculiar bedtime ritual with my grandmother. I went through a phase when every night after our goodnight kisses, I would ask her, "When I wake up in the morning, will you be there?" In essence, I was asking her to reassure me that she wouldn't die in the night and leave me to wake up grannyless. But to talk openly about my fears was embarrassing, it might also tempt fate; so I'd say that the reason I was asking was maybe she'd be gone before I woke up, to Chowpatty with Dhunmai, to pray and throw coconuts into the sea. My grandmother and her friend Dhunmai made their pilgrimage to the sea, carrying their coconuts, walking from Gowalia Tank down Babulnath to Chowpatty on only one day of the year, dedicated to the water divinity, Avan. The other three hundred and sixty-four days of the year she had no reason to be out of the house by seven in the morning. She knew it. I knew it. But she'd still patiently play along. Sometimes she would pretend to be exasperated, "Where can I go so early in the morning?" But most times she would just smile and say for the hundredth time, "Yes, I'll be at home when you wake up." There are only 100,000 Parsis in the world today, mostly in India, particularly in Bombay. Demographically, we are a dying community-our deaths outweigh our births. Parsis like to quote a remark that Mahatma Gandhi once reportedly made, "In numbers Parsis are beneath contempt, but in contribution, beyond compare." Out of an Indian population of more than one billion, Parsis number a mere 76,000. Demographic trends project that by the year 2020, India will have achieved the dubious distinction of being the most populated country on earth with 1200 million people. At that point, Parsis who will number 23,000-0.0002 per cent of the population, will cease to be termed a community and will be labelled a 'tribe', as is any ethnic group below the 30,000 count. "He ruled over these nations, though they did not speak the same tongue as he, nor one nation the same as another's: yet he was able to stretch the dread of him so far that all feared to withstand him; and he could rouse so eager a wish to please him that they all desired to be governed by his will." "Zorro who?" they would ask me in college in America. "Thus Spake Zarathustra" I would say, "Nietzsche, Richard Strauss, 2001 Space Odyssey?" One or the other would usually hit the mark. Maneck kaka once told me that the Parsi Panchayat (our governing body) had enthusiastically ordered several hundred copies of Nietzsche's tome, only to discover that not only was it impossible to understand, but it also had nothing to do with the Prophet as we know Him. The copies languished in the basement and were eventually probably sold for a pittance to the local ragman. Excerpted from 'Parsis: the Zoroastrians of India,' 2004. Used by permission of Overlook Press.